The new-generation Hyundai Tuscon ix Full Cell Electric Vehicle was recently unveiled at the 2011 Fuel Cell & Hydrogen Energy event. This third-generation FCEV is equipped with a 100-kilowatt fuel cell system and two hydrogen storage cylinders. All of this helps the Tuscon achieve substantial improvements in fuel efficiency and more than 400 miles on a single fueling. Hyundai&apos;s Managing Director of the fuel cell project has stated that the Tuscon FCEV is a product of several years of testing in order to maximize fuel efficiency. In addition to the enhanced fuel economy levels, the Tuscon also benefits from a more compact power source that&apos;s 20 percent smaller than the previous system. 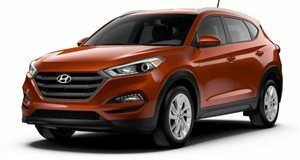 Hyundai reports that it plans to make a limited supply of the Tuscon ix FCEV in 2012 and will start a series manufacturing only in 2015.